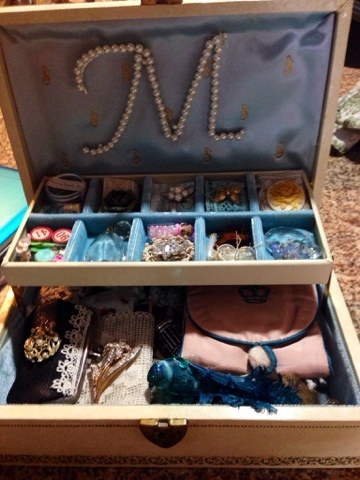 A group of girls from around the United States just recently had a Junque Box Swap. You gave a list of the things you loved, favorite colors, things you collect, etc. to give your partner an idea about you. It was hosted by one of the most creative and talented young women that I know, Carrie. 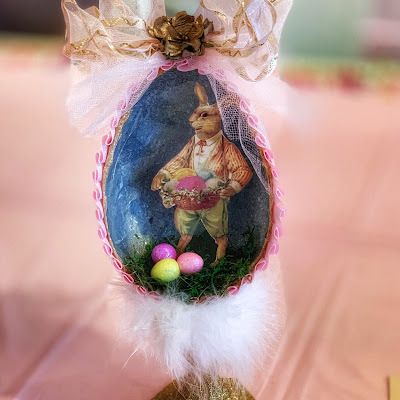 I felt fortunate that I had met my partner at the Enchanted Affaire Art Event in Manhattan Beach, Ca. I'm not sure if this made it harder or easier. Because I really wanted to make it special for her. She was such a talented and creative gal, that I wanted it to live up to her expectations. 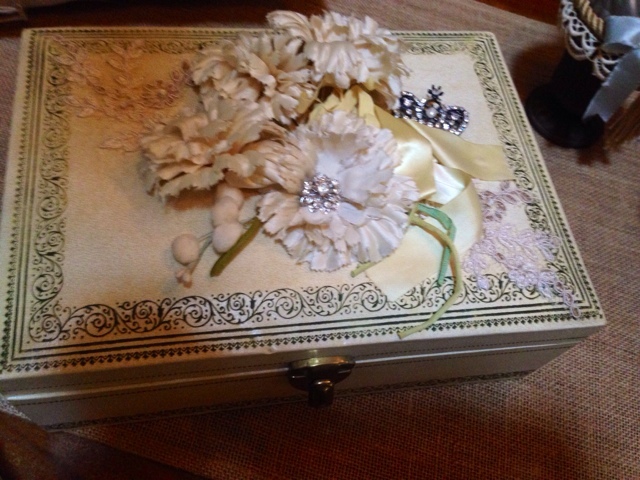 I found a vintage jewelry box and I took some of the flowers that I found at the flea market in France to embellish it. I also added a few other finds from France inside the box. Here is a peak inside the box. 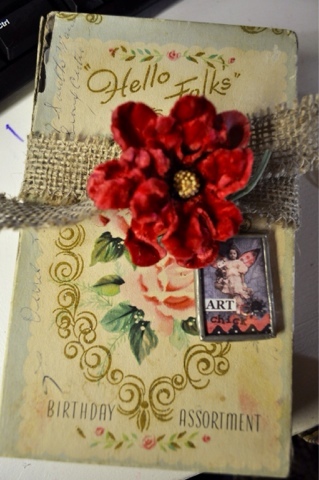 The is an adorable old card box that I found a couple weeks ago at a antique store in Iowa. 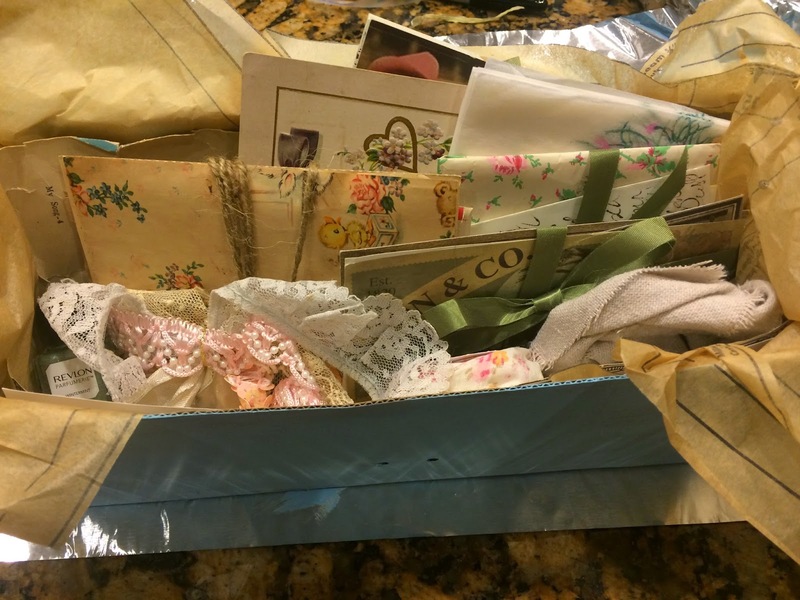 I packed it full of vintage lace and fabric. It was lots of fun to prepare for someone else, but it was just as exciting receiving a box in the mail prepared just for you. 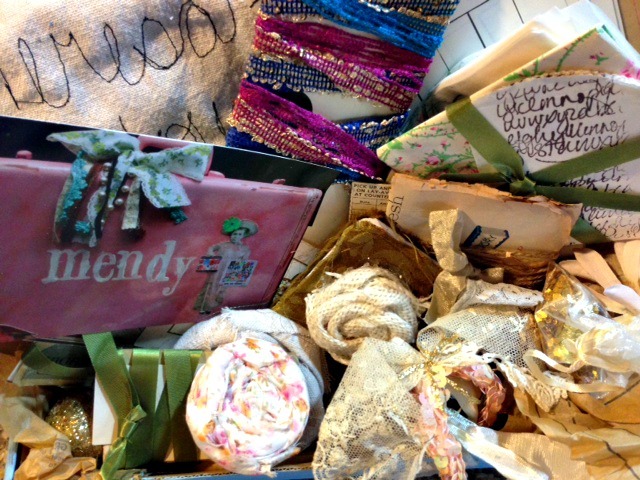 Mendy, a mixed media artist from Texas, sent me a beautiful box of goodies. 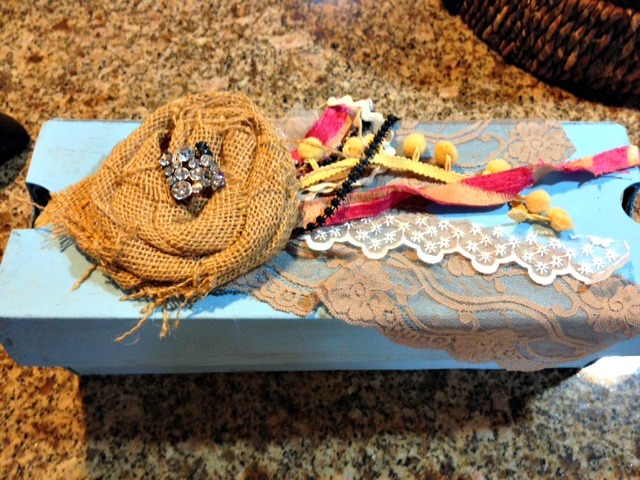 I loved the colorful vintage ribbon and burlap flower with rhinestone embellishing the box. It was overwhelming the beautiful things you had packed inside. 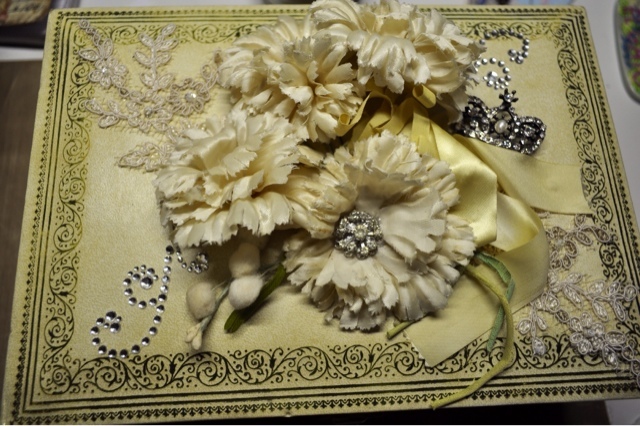 Inside the box was filled with my favorites of vintage style fabric, lace and flowers. She monogramed my name of a piece of muslin, amazing artwork on cards, vintage paper, and more. It is such a treat to participate in these events with such talented artist around our country. I feel lucky to just be a part of such an event. Both boxes are beautiful, Teresa! I love what you sent and received. Swaps are great. I love participating in them myself and feel like I'm due for one about now.